Australian researchers have tested a tiny device that electrically stimulates the brain, and could be used to treat a variety of conditions. A team at the University of Melbourne has shown for the first time that electrical stimulation can be delivered into the brain from a 4mm diameter ‘Stentrode’ permanently implanted inside a blood vessel. Deep brain stimulation requires open brain surgery with an electrode implanted via burr hole surgery, where one or more holes are drilled in the skull so the electrodes can penetrate the brain. The Stentrode can place electrodes in the brain via blood vessels through a vein in the neck. In their latest tests, researchers implanted a Stentrode into blood vessels in sheep and achieved localised stimulation of brain tissue, all without open-brain surgery. The devices were implanted into blood vessels next to motor areas of the brain. “A minimally invasive endovascular surgical approach utilising a stent-electrode array is an encouraging safe and efficacious way to stimulate focal regions of brain. In an upcoming clinical trial, a Stentrode will receive and interpret neural signals and enable a person with Motor Neurone Disease to control communication software. 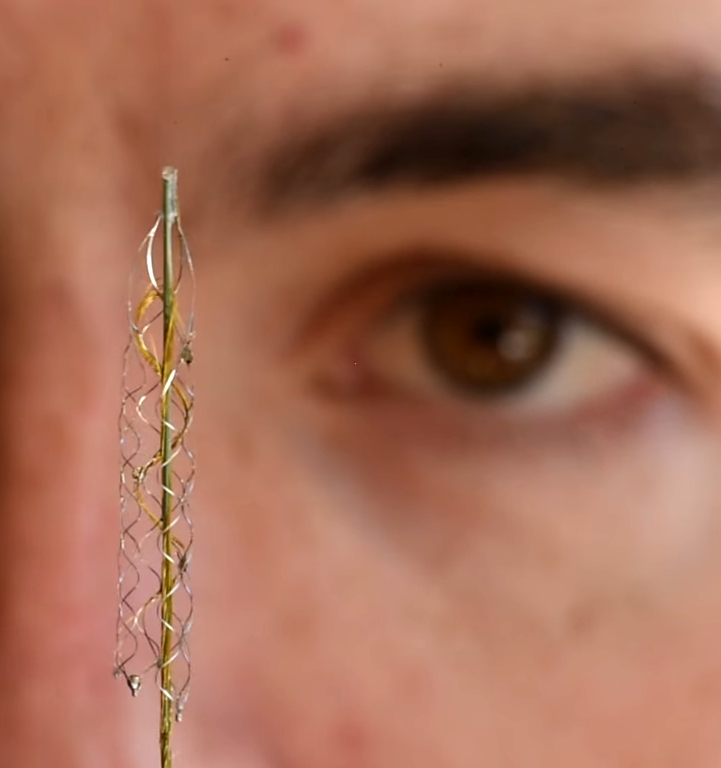 “From within a blood vessel in the head, the Stentrode can pick up brain signals when people think about moving,” lead researcher Dr Nick Opie said.